Innovation in the energy sector relies on a coherent national framework of cooperation and competition. Poland’s pursuit of universal low prices stunts energy innovation. First, it short changes innovation by preventing companies deploying practices and technologies to lower energy costs and second rewards static and established generation technologies due to the lack of competition. These were my main points in the panel discussion, ‘The climate policy, innovations and the RES – strategy of the future of energy utilities’ at the Energy21, Energy Futures Week, in Poznan, Poland, May 10 – 13, 2016. Very simply, innovation is not maintaining and investing in coal fired power plants that operate beyond 2050. My pointed comments came after a morning focused on efforts in Poland to continue and renew Poland’s fleet of coal fired power plants. Gasification and liquefaction of coal were viewed positively, while integrating renewable energy into the grid was viewed as a threat to the energy system. In opening up my remarks, I appealed to the Hungarian and Polish friendship – allowing me – as a resident of Hungary, to speak directly to Poland’s perceived direction towards more coal in the energy mix. (If you don’t know about this special Hungarian-Polish friendship, we’ll just say it is a brotherhood of eastern Europeans, influenced by the Russians, Germans and Turks – so still relevant today). The Polish government perspectives, as expressed in the morning by the Energy Minister Krzysztof Tchórzewski, as I previously wrote about, holds coal as an innovative energy source. Labeling technological advances in coal as innovative and propelling the Polish energy system forward, as I stated, only ends with continuation of an old technology that does not match with global changes in both the environment and social change. This is important because if Poland wants to keep coal as the main component of electricity and heat production then it will crowd out other technologies that offer wider spread economic and social benefits. It also goes against the technological trend of dropping prices and wider uses for renewable technologies – it’s hard to see that coal is still more competitive than renewable technologies in 30 years-time (for a similar view with price comparisons see this report). The larger companies, like PGNiG, made a point to state they needed to realize the full investment lifetime of their coal fleet. But as I pointed out, it was not regulation that phased out the steam locomotive, but the superiority of the diesel engine that created the transition away from coal powered trains. Polish efforts to foster technological innovation belie an active sphere of researchers and even politicians set on moving Poland forward. This is very good news. While the main political party in power pushes coal, Poland researchers, progressive policy makers pursue Poland 2.0. I was very impressed by the words, and the understanding of Michal Kurtyka, Deputy Minister of Energy, as he outlined the relationship of regulation and innovation. He stated a new regulatory framework needs to spur innovation and renewable energy sources, with an eye on global and EU innovation efforts, regulation and innovation are interlinked. In other presentations at the four day conference, I became more familiar with the companies and researchers who are actively working on projects like energy storage in Poland. The technical progress, and even investment by Polish companies all demonstrate the latest trends in energy research and technologies – there are some who are ‘doing’ the innovative research. The country has a clear choice; it can pursue innovative clean technologies, it does not have to transform itself into an innovative powerhouse for coal technologies, as outlined by Minister Tchórzewski. Unfortunately, it is this disconnect that keeps Poland ranked fifth from the bottom in the European Commission’s Innovation Scoreboard. Despite deployed research projects in innovative spaces of energy, pursuit of the wrong macro-energy strategy can prevent the wider use of Polish created technologies. There were consistent complaints against Germany and Danish wind and solar power – crowding out Polish coal. It is these countries , condemned by the politicians and business managers who are the most innovative. If Poland could unify its macro-energy strategy with its own R&D and industrial base – outside of coal – a lower cost transformation could occur. The Polish government pursues a low cost energy policy to justify the continued use and renewal of the coal power sector. However, it over accounts for how much a transition towards a more environmentally sustainable energy system would cost. This division can be seen in the differing cost assumptions published by the International Renewable Energy Agency in the country report, “Remap 2030: Renewable Energy Prospects for Poland.” The projected costs by the Polish government are over twice the amount IRENA estimates. In particular, the doubling of the cost is assessed in industry and buildings. Source: International Renewable Energy Agency. “Remap 2030: Renewable Energy Prospects for Poland.” International Renewable Energy Agency, October 2015. http://www.irena.org/DocumentDownloads/Publications/IRENA_REmap_Poland_paper_2015_EN.pdf. Regulation is best used to open up spaces for innovation. This was my concluding comment on the panel. There was a decidedly slanted view of Brussels regulations as a punishment mechanism against Poland, I took the opposite view. I stated, instead of seeing regulation as punishing and a source of uncertainty, EU Directives and the price drop in renewable technologies should be viewed as inevitable. I controversially stated, the idea that a coal fired power plant can get a 30-year price guarantee is simply impossible in today’s market environment (an assumption supported by this report). Regulatory targets in Poland should be used to spur Polish companies to innovate for the Polish and EU market. From the companies and people I met at the conference, I’m convinced holding onto coal only deprives a more innovative country from emerging. Maciej Burny – Dyrektor Biura Regulacji, Biuro Regulacji, PGE Polska Grupa Energetyczna S.A.
Artur Stawiarski – Dyrektor Departamentu Rozwoju Przedsiębiorstwa / M&A w RWE Polska S.A. The global fall in oil prices and the shaking foundation of Russia’s economy has analysts and the media questioning Russia’s commitment to financing and building Hungary’s expanded Paks II nuclear plant. On February 17, Hungary’s Prime Minister will be in Moscow for a meeting with Putin – almost a year to the date Putin visited Hungary. Top of the agenda is energy. In this short analysis, I’ll simply be stating the importance of energy projects and the historical commitment both Russia and Hungary hold to supply side economics of energy resources. Their common energy policy is: Immediate cash is more important than long-term energy reduction methods. This is in contrast to more advanced countries which are moving to tackle demand side inefficiencies and rolling out low cost distributed generation technologies. The autocratic habits of Putin and Orban make them susceptible to stick with supply side economics. Pushing out natural resources and producing more and more energy to grow an economy is straight from the Politburo playbook. Or more accurately, Gosplan’s book. To frame my discussion on supply side history of energy resources let’s go back to the 1980s, when the Soviet Union’s organization of Gosplan set the five-year plans. And let’s frame this discussion within the general economic difficulties the Soviet Union found itself in the 1980s. Energy investments were planned to increase 50% between 1981 and 1985. More broadly, this “implied that energy was to absorb fully two-thirds of all new Soviet investment during the coming five-year plan…. [With] the share of energy in the planned increment of industrial investment came to a whopping 85.6 percent.” This means, almost all of the money meant to build the Soviet economy was going towards energy projects. Much of this was down to the increasing costs of extraction and expanding the energy network from Siberia (Gustafeson 1989, 36). We can also insert gas pipelines to Eastern and Western Europe. In short, the energy sector was the primary recipient of financial resources for the Soviet Union. The sector held both domestic and foreign political-economic dimensions. Wrapped in the Soviet energy strategy was rolling out nuclear reactors across the Eastern bloc. Hungary was a recipient of this push with the building of Paks in the 1970 and early 1980s. But Hungary pursued Paks only after it became clear that oil was going to be very expensive over the long term for producing electricity. Paks II represents the continued economic investment abroad for political-economic influence, and this supply side ideology. There was a moment of rationality, by 1983, Gorbachev recognized the need to re-orientate, at a significant scale, capital onto energy conservation measures. Nonetheless, by 1985, global oil prices plummeted along with the dollars fall against other currencies. Oil profits were wiped out in the Soviet Union (Gustafeson 1989, 36, 46 -48). It is important to pause here, I’m spending time on this, as it reflects our world today – in 2016, low oil prices and external conflicts (even down the the Syria/Afghanistan comparison). The push for conservation was a watered down for the five-year plan starting in 1985, investment into energy supply would continue at a high pace – the money was needed, while energy conservation was given lip-service (Gustafeson 1989, 36, 46 -48). Russia is built on an export hand-to-mouth energy system. Political influence and immediate cash needs supersede long-term planning for efficiency and effectiveness of energy resources. Putin is lucky to find a friend like Hungary’s Orban who also understands the benefits of supply side energy for political and economic purposes. Cash generated from consumers helps to finance government expenses. Hungary holds no ambition to reduce its raw energy needs. The solution of the Orban government since 2010 is to take money from foreign and domestic energy companies to reduce household’s energy bills by 25 percent. I’ve outlined how unsustainable this is before. The drop in oil and gas prices over the past few months, has seen households in Bulgaria pay less for their gas, but the same has not happened to Hungarian households. Essentially, either the financial losses in the system are being paid off, or the money goes into the ether. Under the Orban government, over the long-term, Hungarian households are no better off than the foreign energy companies. The dramatic reduction in investments into the energy sector means fixing things as they break will cost more money. In addition, there is almost no money to invest into energy efficiency. If a large number of Hungarian households have trouble paying their energy bills – and this is the rational used for nationalization and reducing bills 25 percent – then they don’t have money to invest in energy efficiency which will reduce their bills more than 25 percent. Thus over the long term, Hungarian households will pay more for an energy system with spot repairs and for leaky windows and walls. Demonstrating the common perception in Hungary of corruption at the highest levels, the government is reallocating EU funds of HUF 309 billion meant for energy efficiency measures in 50,000 homes. The money will now be used only in public buildings. In my opinion this is an attempt to satisfy the EU’s energy efficiency directive. This stipulates that governments must renovate three percent of the buildings they own per year. Just like other large scale projects in Hungary (notably LED street lighting by Orban’s son-in-law), these government controlled projects are susceptible to corrupt tendering practices. Or in the eyes of the government, they can meet the EU energy efficiency directive while also channeling money to selected companies. They also do not need to finance this three percent goal from the state budget. Just like the government of the Soviet Union, both Russia and Hungary place supply side energy economics ahead of demand side efficiency measures. Even if these measures cripple and stunt the economic growth of each country. Supply side measures are only short term building projects pumping out more and more natural and financial resources. Only the companies and individuals vested into building the infrastructure and selling energy resources make money. The financial resources of households are degraded over the long term because they must pay more for emergency repairs and inefficient homes. Hungarian gas bills represent a simple wealth transfer to Gazprom and both the Russian and Hungarian governments: Twenty-percent of every gas bills goes to pay Hungarian VAT (this is higher than in 2008 – and even higher than Norway’s VAT), around 70% of householders bill payments go to the (mostly) Russian entities that sell the gas, including Gazprom Export. Thus, Hungarian households do a wealth transfer to Russia and to Hungarian government approved entities involved in the gas business. Only a small percentage of the bill actually covers the network costs – which the government waged the war against foreign utilities over. The increase in corruption in Hungary and the endemic corruption levels in Russia means Hungarian households are forced to pay for energy services that may also be involved in corruption. The costly expansion of Paks II, also fits into this narrative. If investments into energy efficiency (both electricity and gas) were carried out households could reduce this wealth transfer to Russia and the Hungarian government. 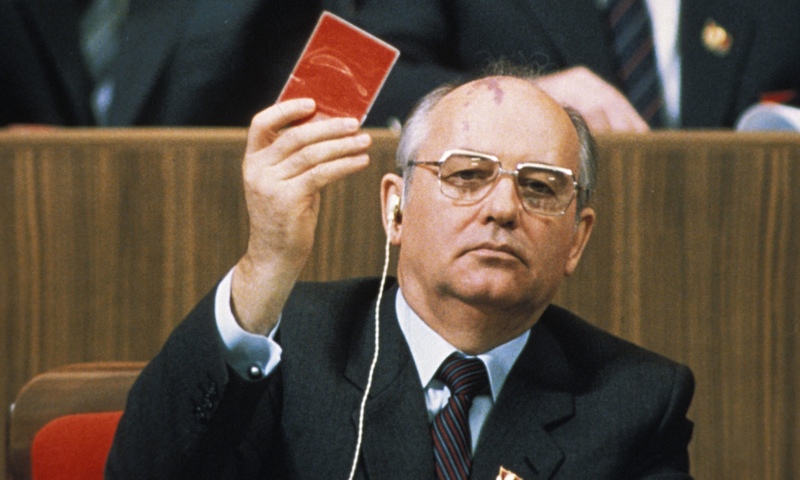 The original push for energy conservation by Gorbachev in the mid-1980’s was also a push for increase resources to benefit consumer goods and the lifestyles of Soviet citizens. In the end, the financial resources went into expanding the energy sector to underpin an inefficient industrial sector. Immediate cash was the main concern. This is the same concern that underpins the operations of Hungary and Russia – thus they maintain a supply side energy system with high taxes. It would be useful if Putin and Orban spoke together about improving the lives of their citizens through energy efficiency efforts – and not expanding the profits of Gazprom and intermediaries involved in the gas business or large government projects meant expand energy production (Paks) or steering energy efficiency contracts to approved companies. Hungarian household should not subsidize the supply side energy interests in Russia and Hungary. It would also help if Putin and Orban stopped acting like members of the Politburo in 1985. European Commission. “Energy Prices and Costs in Europe,” 2014. https://ec.europa.eu/energy/en/publications/energy-prices-and-costs-europe. Gustafson, Thane. Crisis amid Plenty: The Politics of Soviet Energy under Brezhnev and Gorbachev. A Rand Corporation Research Study. Princeton, N.J: Princeton University Press, 1989. Energy doesn’t get cheaper than it is today. Or rather, the bottom of the barrel is also the bottom of the bottle. Dropping oil and gas prices, can go lower but lower prices are not conducive for pushing innovation in either the oil and gas sector nor in the areas of renewable energy and energy efficiency. The race to the bottom in Central and Eastern Europe, for price competition against Western Europe is based on artificially low prices subsidized through ‘hidden’ losses in selected companies, environmental degradation and even human health. Despite this dirty side of the gas business, which is wrapped up in the geopolitics of gas, the gas industry as a whole offers innovative and fulfills important niches in the region’s energy system. Nonetheless, each region and each country pursues gas developments in different fashions. Speaking on the panel ‘The Role of Gas in the Future Energy Mix‘ at the Krynica Economic Forum, in Poland, I outlined both the race for the bottom pursued by countries like Hungary and Bulgaria, but I also considered some very interesting innovative distribution methods I learned that Shell is now using. Speaking on the panel from Shell, was Chris Johnson, General Manager New Markets Europe from Shell. I learned from him, that Shell is now using small scale Liquified Natural Gas (LNG) that comes into the terminal in the Netherlands and goes directly into trucks for delivery and into transport vehicles like shipping and public transport. Instead of re-gasification, the gas remains in its frozen state. Mr. Johnson also mentioned the potential in Africa for expanding Shell’s gas business, including consumers and large scale power plants. Thus they can pursue a strategy of delivering gas for centralized and decentralized power and transport systems. I am usually skeptical about the gas industry and what it offers, as renewables can provide a competitive alternative in many cases. But I see the strong role in transport and replacement for coal or oil fired power plants. The increasing role of gas also begins to fill a role in the idea of ‘energy justice’. As Sovacool et al in their book, ‘Energy Security, Equality and Justice‘ explain, there are differences in OECD and non-OECD countries and how affordability (OECD) and access (non-OECD) to energy resources are granted. Getting to a cheaper price of gas, may alleviate affordibility for OECD housholds, who have trouble paying their energy bills. But often, it is the poorer of society, that also lack support for energy efficiency measures in their homes or government programs that support their energy use. Lower energy prices – to a point – help these households out, but price is only one component. Long term, it is important to address the role of energy efficiency in alleviating energy poverty. Targeted energy efficiency measures reduce consumption and subsequent financial support will need to be less. In non-OECD countries, the growth in renewable energy taps into a distributed energy system. Costly centralized systems that were rolled out in the past in OECD countries can largely, in non-urban areas, be avoided for the developing world. Even in urban regions, solar collectors for hot water heating alleviate the needs for an extensive urban gas distribution system from being established. Energy justice in this sense applies to a range of energy technologies that are used at the micro-level thereby alleviated unsupported demand on electrical grids that are often failing in developing countries. And finally, we get to the role of gas in energy security. For this brief blog post, I’ll avoid an extensive or even mild discussion of energy security in the gas sector. Rather, I’ll emphasize the split in Europe in how to address energy security. There are three camps: Western European, which believes in market orientated and supply diversification options to boost energy security; Poland, Czech Republic and Romania display a cautious attitude about expanding gas the use of gas in their energy systems and any dependency that may result from this expansion; Then we have the ‘divergent attitude’ countries of Hungary and Bulgaria that are fine with importing more Russian gas while expanding their interconnectors at a glacial pace, essentially delaying the inevitable infrastructure integration that goes along with EU membership. These final two countries also support any plan floated by Moscow to maintain their traditional source of gas at politically flexible rates. The future of gas is wide ranging. As we all commented on the panel, the past 10 years of the gas market included events and technological developments nobody could predict. I concluded my comments outlining that the rapid technological changes in energy technologies is only set to accelerate. We are building a new energy system, whether this includes government support or even when there is no government support. People are taking energy matters into their own hands, and the price point of generation technology is there for them to make it happen. In the area of gas, while renewables should be pushed harder to compete against gas, the familiarity and ability to fit centralized and decentralized systems make it a strong contender to continue to influence how the energy system develops. Here is a draft chapter for a book that Atanas Georgiev at Sofia University and I have written on the politics and financing of the energy systems in Hungary and Bulgaria. We hope you find it interesting. Comments are welcomed. Modernization of the energy sector is based on continual investment. Integration of new low carbon technologies rests on investments cycles which continually upgrade the energy system. This article explores efforts to keep utility prices low in Bulgaria and Hungary. This article shows despite European Union efforts to roll-out independent regulatory institutions in these countries’ the state maintains its traditional political role of delivering low cost electricity and gas, at the expense of system investments. The establishment of a technocratic regulatory structure, facilitating regulatory capitalism, was only temporary during and shortly after privatization. Technocratic norms are not embedded. Public riots in Bulgaria and rate cuts of 25% in Hungary indicate the death of technocratic procedures. Energy justice emerges as a rallying cry to tackle energy poverty – even if this prevents the long-term sustainability and development of the system. Energy regulators show symptoms of socio-political capture, not regulatory capture by the private sector. Political leadership in both countries seize price setting authority to deliver social benefits. Neoliberal policies characterized by independent regulation falter under political control intent on low energy prices and extracting additional rents for state budgets. The research presented here is part of a larger research project focused on the CEE region, privatization and energy relations with Russia. I’m publishing draft sections here as I work my way through the material. Therefore there may be mistakes or nuances I miss. If you have a correction or a different view you want to share, please drop me an email mcl [at] enegyscee.com. The fervor to reclaim Hungary’s energy infrastructure by Viktor Orban’s government now results in monopolistic state control of supply and distribution. The turn around since the 2010 elections occurred even faster than the turn towards a neoliberal market structure and the selling of energy assets by a cash starved Hungarian government in the 1990s. This post asses government consolidation in the mid-stream gas sector (transmission, storage) and a limited overview of household supply (to be discussed later) . The purpose of this post is to show Hungary’s inability to grapple with the cost of natural gas. Since Communist days to the present, the true cost of Russian or imported gas is covered either by the state or in companies. End-users, particularly households, but even industry at times, does not pay the full cost. The aim here is to discuss Hungary’s need for energy imports to cover a lack domestic energy sources. Think of Hungary as the Japan of Europe, nuclear power, some domestic coal and gas, but a high reliance of oil and gas imports. The political choice to have Hungarian consumers avoid paying full costs results in an energy policy not conforming with EU market rules and forces the country to make deals with Russia. In 1995, 14 power companies, a mixture of generation and distribution were put up for sale. Most were sold by the end of 1995. These included electricity and gas distribution companies sold to RWE, EON, GDF, EDF and ENEL. MOL, Hungary’s national oil and gas company, was privatized in a different way. Essentially, financial investors were sought to enable Hungarian management to stay in place and ensure Hungarian ownership. Therefore instead of one quick sell-off, the company sold its stocks in phases to investors (later this strategy would be severely tested, as OMV attempted a shareholder take-over facilitated by Russia) . MOL’s management philosophy also lends it to being one of the best run oil and gas groups in the world (thus criticism should be muted when we see what a Hungarian company can do without government interference). Part of the consolidation process of a privately orientated MOL was to sell off the perpetual loss making business of buying and selling gas on the Hungarian market. This is the focus of our story here. Essentially, management got it right, knowing government interference would always be present – and subsidizing users is not profitable. Since Communist times, the state subsidized financial losses through MOL. By selling these gas assets to (naive) private companies MOL would break free of this continual debt trap. The results have proven them right. In 1994, MOL lost 1.3 billion forints because of the higher gas import prices compared to the price they were able to sell on the Hungarian market. This was despite MOL buying gas from the state owned Mineralempex – which held the monopoly on gas imports from Russia. The 1996 projections were 70 billion forints would be lost by MOL with them selling gas to the privatized gas distribution companies (discussed below). Thus, while there was private ownership for gas distribution, the true cost of gas was hidden by the losses incurred by MOL. In 1994, Hungarian consumers were paying 9.8 fts per cubic meter, compared to 56.9 ts per cubic meter in Italy or 29.1 ts per cubic meter in the UK (see Bogel et al 1997). In 2004, MOL entered into agreement with E.ON to sell fully its gas wholesale trading (MOL Földgázellátó) and storage business (MOL Földgáztároló) and 75% of its existing 50% stake in gas import company Panrusgas (with the other half owned by Gazprom Export). The transmission system operator (TSO) Foldgazszallito (FGSZ) would remain with MOL. Thus MOL retains ownership in Hungary’s transmission system, but offloads to E.ON the responsibility for imports and selling gas on the domestic wholesale market. The agreed purchase price for the three companies was €450 million, including the accumulated debt of €600 million. In the end, the accumulated debt of Hungary’s gas importer were higher than the worth of the company. Thus, the subsidizing of consumers in Hungary were carried out by the partially government owned, but privately Hungarian controlled MOL. The history of the gas intermediary companies is worth to spend time on. In her very well researched and written book (really, an excellent piece of scholarship), ‘Power, Energy and the New Russian Imperalism‘, Anita Orban (Hungary’s former Energy Ambassador) devotes attention to the shift from the Communist era Mineralempex and the new Russian Imperalist gas strategy of owning intermediary companies, such as Hungarian registered Panrusgas, where corruption could occur (e.g.Ukraine). (As a side note, in Google books, the book is hidden by its mislabeling as one dealing with the history and legends of snakes – I’ll leave it up to you dear reader to make an inference). Picture of a young Communist worker building the foundation of Hungary’s Paks Nuclear Power Plant. Hungary is highly dependent on Russian resources and technologies. Before 1994, Mineralimpex was owned by the state and was the intermediary dealing with Gazprom Export buying Russian gas and selling on the domestic market. In the fall of 1994, the Socialist dominated Hungarian Parliament passed a law requiring MOL to take possession of Minerlimpex by the end of 1994. At the same time Panrusgas was set up with an external ownership structure of 50% owned by Gazexport (Gazprom) and by 1995, 50% owned by MOL (Orban 2008, 45-46). Panrusgas took over the exclusive supply relationship to Hungary. “Panrusgas did not own property, pipeline, or equipment; its core operation was based on two contracts, one with Gazexport and the other with Mol, which have been valid since 1996 and was suppose to expire in 2015” (Orban 2008, 46). It is this contract expiration that highlighted Putin’s visit to see Orban in 2015. Panrusgas thus serves no purpose but ensure Gazprom Export profited – in addition to Gazprom – by the trade with Hungary. Thus under the original set up, any profits achieved through Panrusgas would be withdrawn by Gazprom Export’s 50% ownership, while MOL’s ‘profits’ were offset by the sustained financial losses by MOL’s purchase of gas to be resold onto the domestic Hungarian (regulated) market – even if the sales went through private gas distribution companies. The losses to MOL can be seen in the early year’s finances, as described above. MOL lost 1.3 billion forints in this gas arrangement in just a few months of 1994, while by 1996, 70 billion was the projected loss (Bogel et al 1997). By 2004, when the deal with E.ON to sell MOL’s gas business – including its 50% holding in Panrusgas was announced, the debt grew to over 150 billion Forint ( €600 million). Thus, even with private distribution companies operating (E.ON, RWE, GDF) they were not paying the full price of gas. Historically, even with private ownership existing in Hungary’s energy system, it can be stated that Hungary’s energy system was still on an unsustainable path. In 2004, E.ON bought Panrusgas and MOL’s gas storage and wholesale trading companies, (MOL Földgáztároló and MOL Földgázellátó), these were finalized in 2006. The Orban government in matching with its national consolidation of the energy sector, bought back these two companies from E.ON in 2013 and Panrusgas in 2015. MVM is now the proud owner of these three companies. Panrusgas Gas Trading Plc. was founded on October 1st, 1994. Company’s main profile: sales of natural gas in Hungary originated from GAZPROM (Russia). Shareholders: LLC “Gazprom export”, MVM Hungarian Electricity Private Limited Company, Centrex Hungária Zrt. However, in the intervening years, despite private ownership, the financial hole surrounding the gas trading and storage companies only got bigger. The Hungarian government (through MVM), paid E.ON, 261 billion Forints (€881 million) for the two companies with an option to purchase Panrusgas later. The debt balloon just gets bigger and bigger. Just as E.ON had assumed the earlier debt of 150 billion Forints in 2004, MVM would assume a company that had a negative net worth of 355 billion forints (€1.2 billion). The intervening years were not kind to these companies balance sheets. The total possible cost to state owned MVM would be 616 billion forints, or €2 billion ( €881 million purchase price plus €1.2 billion debt). This was the starting price for changing the country’s wholesale gas market to a centralized state owned system governed by ideas of ‘illiberal economics’. To fulfill a broader view of illiberal energy markets, most of the privately owned companies that were sold off, would now be bought back, regardless of cost. The transformation of the retail electricity and gas sector will be discussed in another post. Putin’s visit to Hungary in February 2015 and Orban swanning over him, (as I wrote at the time) related to pushing down Hungary’s gas bill – and the overall losses the state would incur by subsidizing all consumers. The subsequent renegotiation of the take-or-pay clauses in 2015 between Putin and Orban may have reduced the overall debt assumed by the company. (For full story see: Atltszo for the original documents and Hungarian Spectrum for an English summary.) Nonetheless, in comparison, MOL’s loss of 1.3 billion Forint loss in 1994 looks manageable. Wrapped up in the overall negative value of E.ON’s Foldgaz storage and trading (MFGK and EFS) is the accumulated debt and fullfiling the take-or-pay clause expiring in 2015. Because of reduced gas consumption and rising imports of gas from Austria (another reason to block gas from Austria and Slovakia) Hungary was liable to pay 3 billion euros for the unused contracted take-or-pay gas. Nonetheless, the background on the take-or-pay claus is the contracted roll-over of amounts past 2015 was already agreed with E.ON and Gazprom in 2008, while EU courts had earlier ruled in favor of RWE that these take-or-pay clauses were not valid. But it was essential to secure the lowest price possible to pay for Russian gas. Any new losses in 2015 would be born by state owned MVM and not a private company. The final purchase to secure the Hungarian government’s total control of company’s providing transit services and owning assets in Hungary occured on the eve of President Putin’s visit to Hungary in February 2015. MVM exercised its option, established at the time of the 2013 purchase of E.ON Foldgaz storage and trading to buy Panrusgas from E.ON. The state paid €3 million for the 50% of the middleman owned by E.ON with the other 50% owned by Gazprom Export and another firm (that somehow emerged on the scene) Centrex Hungaria Zrt, which according to Wikipedia is a front for Russian highlevel interests. This also matches (the now) Ambassador’s Orban’s overall description of the purpose of Panrusgas. Interestingly, Hungary did not seek to exclude Panrusgas as an intermediary even as it restructured the rest of the wholesale gas market. To summarize, since the 1990s MOL was incurring losses on its gas import business. Retail prices did not reflect the total cost of the imported Russian gas. In 2004 MOL struck a deal with E.ON to sell its trading and storage units (MOL Földgázellátó and MOL Földgáztároló) with a future option on Panrusgas. After the EU signed off on the deal the purchas was finalized in 2006. The price paid was €450 million (excluding debt). In 2013, MVM bought the two companies back from E.ON for €881 million and Panrusgas in 2015 for €3 million, almost double the price for both companies. In 2004, the negative value (debt or liabilities) of the storage and trading companies was €600 million (150 billion forints), by 2013 this grew to €1.2 billion (355 billion Forints) – double previous liabilities from just 9 years earlier. Thus in 2013 the Hungarian government (and taxpayers) became the sole owner (once again) of €2 billion worth of FGSZ gas infrastructure and accumulating financial losses because of the structured domestic gas market, which relies on losses being incurred in multiple companies. Concluding an agreement with Russia that offers lower priced gas is only one area that can reduce the perpetually hemorrhaging Hungarian gas system. And finally, in order to structure and absorb these losses, the Hungarian government has created a new holding structure spread out among different state owned institutions (MOL, MVM, the Hungarian Development Bank and even the Interior Ministry). In a separate post, I’ll discuss the actions of the privately owned gas distribution companies (RWE, E.ON, GDF and Enel), but here I want to bring it full circle to show the results of this gas buying spree by the government. In 2015, all gas distribution companies (privately owned that participated in the 1994 privatization process) returned their universal service licenses. After years of accumulated losses they gave up (I’ll write more later on these companies and their financial losses). As an overall example, utility sector profits inverted from total profits of HUF 224 billion in 2009 to HUF 119 billion losses in 2012. The Hungarian government is now taking over some of this debt. Don’t try contacting MFB – there are no contact details on the website. In 2015, the Hungarian Development Bank bought out the city of Budapest and RWE for their share in Budapest’s distribution company FOGAZ. After all the distribution companies gave back their licenses to supply households in the summer of 2015, FOGAZ will now supply the entire household sector across the country. In 2013, the Hungarian Development Bank (MFB), bought a 51% share from MOL of the MMBF Natural Gas Storage company. The other 49%, was a share increase for previous joint owner MSZKSZ – the Hungarian stockpiling association (an association tasked with energy security of Hungary ). [Note: I cannot find the ‘purchase price’ of the storage facility]. The importance lies in the MFB ownership of three gas companies: 1) gas supply rights (FOGAZ), storage (MMBF) and even owning a registered gas trader (MFB Földgázkereskedő Zártkörűen Működő Részvénytársaság). Importantly too, under legislation passed in 2014/2015 the ownership of gas in storage can be passed around with only the Hungarian energy regulator being informed about the trades. For example, gas ‘stored’ by Russia in Hungary, could be traded between government or private entities and the applicable tax is applied only when the quantity is withdrawn from storage. In stark reality – gas trading and all financial transactions are done in a black hole. Thus Panrusgas may be an opaque business entity that imports and profits from gas imported into Hungary, and just as MOL incurred losses that system users did not see, other companies may accumulate profits or losses when trading occurs below ground. Based on the entire history of Hungary’s gas system, there are always financial leaks. That is, there are always losses born by some parties. The new arrangements looks like a government owned orchestra. Financial losses will be born by Hungarian government owned companies, so households have ‘cheaper’ gas. Overall, it appears MFB will be the entity incurring these losses this time. In my opinion, the solution is to pump state money from central funds into MFB to recapitalize it for losses incurred on the gas market. Thus, gas prices for households can stay low – perpetually – while the government uses the low energy prices as propaganda to support its popularity. Inherent in this new arrangement is a political trip wire (as I’ve written before). Any attempt at a future government to have gas users pay full market price will need to raise household rates to cover system costs. My use of ‘full price’ does not address previous debts accumulated just within FGSZ, which stand at hundreds of billions of Forints, and somehow have to be paid off. Since Hungarians have never paid the full price of gas then politically moving towards a market based energy system is near impossible. Illiberal economics may now dominate over neoliberal market arrangements, but this new system also requires an illogical accounting method to make it work. The history of the Hungarian gas sector demonstrates, losses just may be kicked down the road another twenty years. If Hungary is already this indebted to Russia and holds cozy relationships for lower gas bills, what will the country do in twenty years when the gas debt is more than doubled its current amount? Atlatszo. “Akár 600 Milliárd Forint Veszteséget Okozhat Az Eon Földgáz-Nagykereskedő Megvásárlása,” August 13, 2014. http://atlatszo.hu/2014/08/13/akar-600-milliard-forint-veszteseget-okozhat-az-eon-foldgaz-nagykereskedo-megvasarlasa/. Berend, Ivan T., and Tamas Csato. Evolution of the Hungarian Economy 1848 – 1989. Vol. 1. One-and-a-Half Centuries of Semi-Successful Modernization 1848 – 1989. Columbia University Press, 2001. Department Of State. The Office of Website Management, Bureau of Public Affairs. “Hungary.” Report. Department Of State. The Office of Website Management, Bureau of Public Affairs., April 11, 2013. Hungary|. http://www.state.gov/e/eb/rls/othr/ics/2013/204657.htm. Bogel, Gyorgy, Vincent Edwards, Marian Wax, and Tibor Benko. Hungary since Communism. MacMillan Business, 1997. Andzsans-Balogh, Kornel. “The Road to Hungarian Energy Security,” March 15, 2011. http://ensec.org/index.php?view=article&catid=114:content0211&id=278:the-road-to-hungarian-energy-security&tmpl=component&print=1&page=. The Hungarian government has lost control. In an effort to gain popularity with right-wing party supporters, Orban and gang have pushed themselves into a corner and do not know how to emerge from it. They are being challenged by refugees that have survived war that stand up for their rights and are clear they want a better life. This is not the usual trampling of human rights of Hungarians, which the people moderately accept as a temporary inconvenience until another political party arrives. Now we see the inadequacy of the Hungarian state. Lack of proper medical facilities, lack of facilities for hygiene and a disregard to basic respect for the individual. While I am talking about how the Orban government is treating the refugees in Hungary, the same applies when you visit a Hungarian hospital or even school. No soap, no toilet paper, and an assumption by authorities that you’ll just have to accept the current situation. The problem is caused by someone else, they are not responsible – the government or even administrator refrain often is. The solution, always lies with the average Hungarian that tries to keep the situation as good as they can for their family and friends. The same is happening at Keleti train station. You have to go in person to appreciate the scale and utter lack of assistance by any sufficiently sized organization (state or non-state). Only the police are there representing the state. Keleti Train Station on Tuesday – absent any professional organization or adequate facilities. The Hungarian state is a corrupt vehicle for friends and family – and the current Hungarian government exemplifies favoritism, while Hungarians know this and have learned how to deal/accept it, the refugees – not even wanting active state intervention, do demand their basic human rights to be upheld. School started this week. So I was observing everyone at my daughter’s opening school ceremony. She goes to an average Hungarian school. The building is not in very good shape, the asphalt the kids play on is outdated and the computer room for the older kids have desks that look like your uncle Joe made them – not ergonomic for kids, but at least there are computers. What keeps the school running and well organized are the teachers and administrative staff. We are fortunate, because our daughter has a passionate and excited teacher. But as all Hungarians know, your child’s education is only as good as the teacher – not even the school. So you pick your school based on what teacher you think your child will have. But in the end, it is hard to look at the schools and not be jealous of the amount of money being spent on stadiums and football in the country, and see the difference that billions of forints could make to the children, and the families of this country. The Hungarian authorities do not see the problem in their treatment of the refugees. If these people just lived in camp cities and did not protest, everything would be fine. It is their problem – they created it by coming to Hungary. The authorities apply the same rational to running the country – do not complain about your situation and there won’t be a problem for you. Unfortunately, Hungarians and foreigners are getting tired of this world view. When so many Hungarians have left the country for a better life, and the refugees want to move on to a better life, containing these aspirations by force creates more and more pressure that cannot be contained by the emerging police state. The force comes in the form of police presence or not treating people as people. For Hungarians it also comes with the threat of loosing their jobs, inspection by tax authorities and a muzzled press. The tricks of intimidation are well known by Hungarians. I can no longer record interviews with people about the Hungarian energy sector in fear that the recording will get out. This never happened in this past. But now the international community can see the adequacy and level of compassion held by the Hungarian state. Close to zero. People working in the state – and I have met a few – are embarrassed by their association with it, but it is only with the orders given from above that will prompt the state apparatus to move. So far, it is only the police that are in motion. The situation will get worse on the ground at Keleti. It is important to keep in mind it is a representation of what the Hungarian state is now: uncaring organ where individual actions are tempered by orders – or lack of orders – from above. Just as the Hungarian people have accepted this political order (for now) so will Europe. Unless they want to do something about it. Improving European gas security rests on greater coordination between EU member states. The original concept for the Energy Union was based on gas security, fortunately, the proposal is now expressed in a more holistic package. This includes energy efficiency and alleviating energy poverty. Maros Sefcovic, vice-president of the Energy Union was in Budapest June 16, 2015 to discuss the key points of the Union. Energy security, nonetheless remains a central tenet based on secure coordination of the gas sector. The proposal foresees joint negotiations with Russia over gas deliveries. This is the most controversial aspect. Removing member states rights to directly negotiate with Russia reduces their sovereign activity and ability to manipulate consumer energy prices. The Energy Union sets up the same paradigm struggle outlined in my recent analysis on this blog. That is, the built Soviet energy infrastructure in the region continues to influence the political orientation and decision making based on the effort to maintain lower energy prices in Bulgaria, Hungary and Poland. This results in a strong Russian orientation and decision by Bulgaria and Hungary to maintain centralized and politicized energy systems while rejecting EU market principles and market mechanisms that reduce Russian leverage. For Poland, this translates to strong self sufficiency and reliance on coal. In the case of Hungary, Prime Minister Orban perceived the Energy Union as a threat against national sovereignty when President Putin was visiting in February 2015. Profits from the energy sector should not be allowed (Hungary Around the Clock, February 19, 2015). Profits place the EU at a price disadvantage against the [profit orientated] US. Hungary accepts the political power of energy over market efficiency for energy. He recently reiterated this stance while softening his overall acceptance of the Energy Union. of the future,” he affirmed” (Hungary Around the Clock, June 22, 2015). For Hungary, market orientated pricing is not allowed, thus driving the political leadership to secure deals with Russia to support lower politically agreed prices. This means building more Russian nuclear power and pushing to secure more Russian gas delivered via Southeast European countries from Turkey. The natural resources and technical know-how of Russia remain central to Hungary’s efforts to keep energy prices low. The rejection of market forces in energy supply runs counter to EU membership and the development of the European energy system. Acceptance and implementation of politically centered energy prices continues the historical path established by the Soviet Union. The infrastructure of gas pipelines and nuclear power plants must be maintained to enable non-market pricing of energy. There are two clear paths. One takes Hungary closer to Europe and this is the market orientated approach, and the other path maintenance Hungary’s dependence on Russia. Energy sovereignty is not given over to market players but to other other nations – in this case Russia maintains it’s political hold on Hungary as long as energy prices are socially and politically sensitive. This strategy does not contribute to European energy security or to political orientation towards the EU. Rather it perpetuates the past political system of central control and fosters political instability if the leadership of a country attempts to break away from a Russian orientation. The results of this strategy can be seen in Ukraine’s attempted break and struggle over gas pricing with Russia. Hungary continues to push closer to Russia and future political instability if a market orientated approach is politically chosen. Hungary’s Orban Government ad campaign on immigration and terrorism. Here’s a photo on my way to work this morning. Earlier I was out for my morning run and came across it. Day 2 of Billboard 2 on National Consultation on Immigration and Terrorism – because the two obviously go together. The other poster further along the street (below) was ripped down. My neighbors are pretty cool. So this is a replacement. Let’s see how long before it looks like this one below.